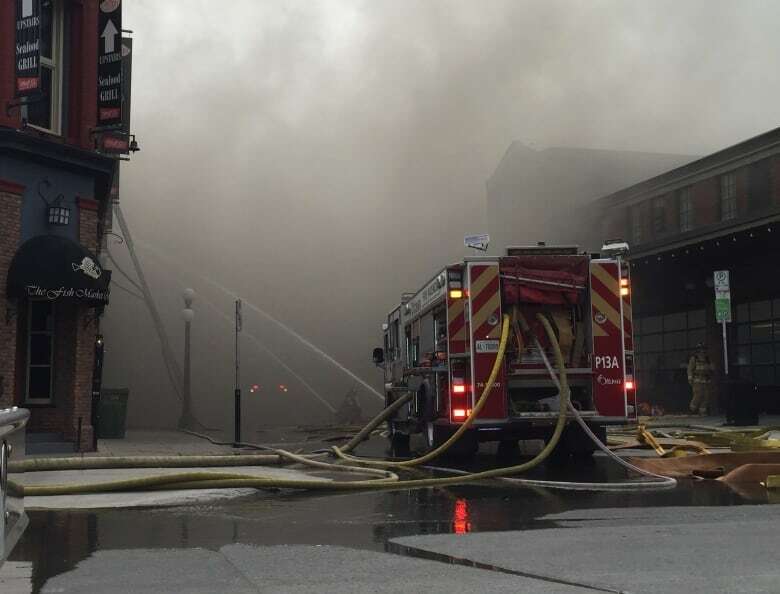 Fire crews in Ottawa have now contained a major blaze in the city’s historic ByWard Market area, fire chief Kim Ayotte said around 2:30 p.m. ET. The fire appears to have started around 11:30 a.m. on the roof of Vittoria Trattoria, a restaurant in a century-old building at 35 William St., and spread to the buildings on either side. The roof of the building later collapsed, Ayotte said. At its peak, it reached four alarms, and involved about 40 fire trucks and as many as 150 firefighters. There were no injuries, Ayotte said. 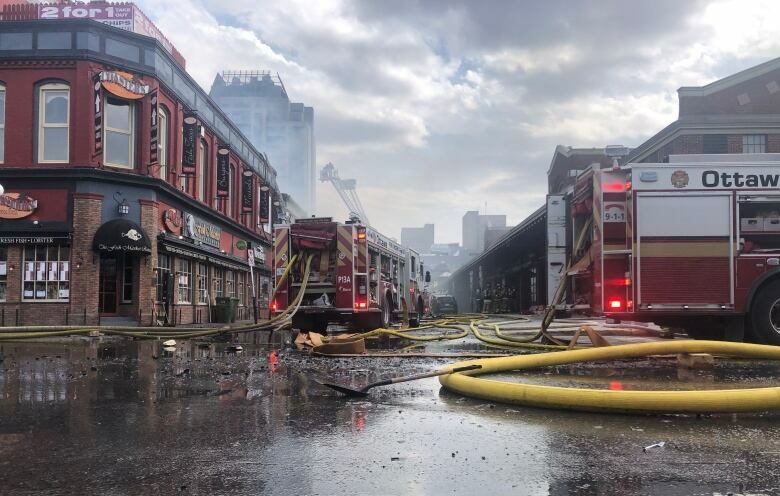 By 1:50 p.m., firefighters were allowed back inside the affected buildings on William Street to check for “insidious fire spread” in the walls, according to Ottawa Fire Services spokesperson Danielle Cardinal. At the height of the fire, hoses on four ladders were spraying water from above, and more than 30 rigs had been dispatched. Heavy smoke conditions persisted for hours in the market, and motorists and pedestrians are being asked to avoid the area. Due to shifting winds, Ottawa police were continually shifting the perimeter of closed roads.